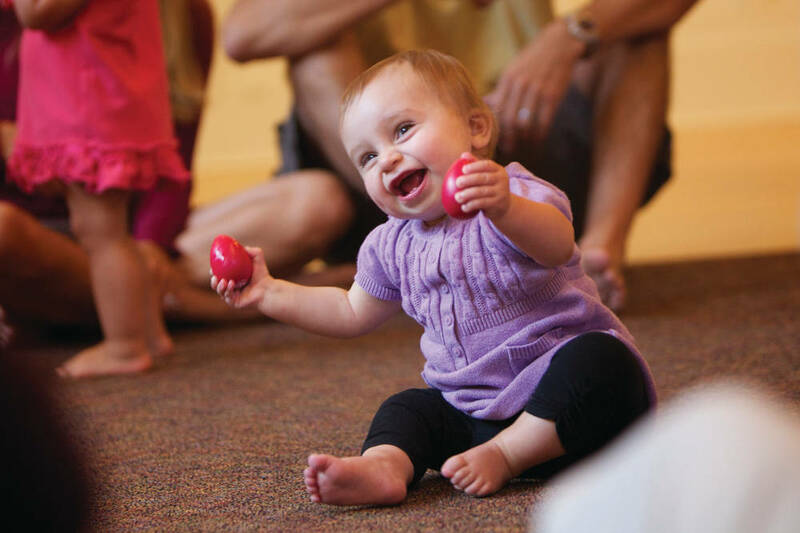 Music Together®: Movement and music classes for children ages 0 to 5 and their grownups! Registered families Family Music Zone! Ages 3-4yrs, 5yr old & younger siblings may be registered! Music Together con Español NEW! Why mixed age classes? 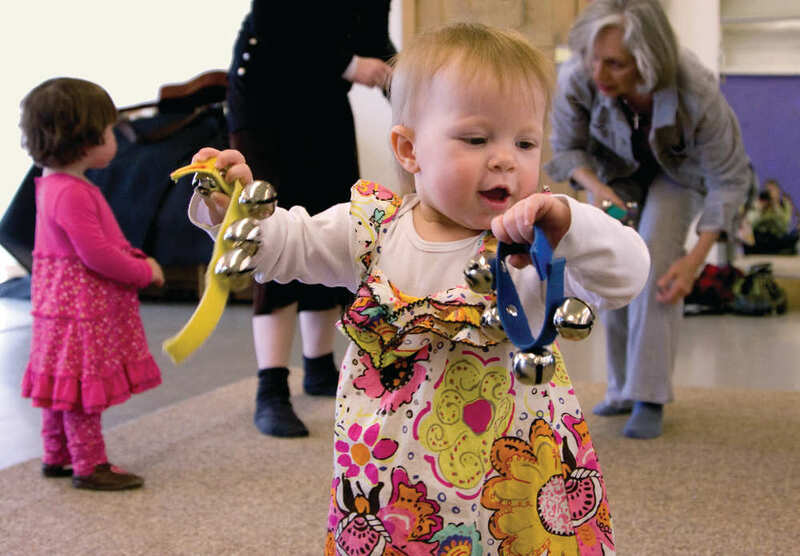 The average age in Peninsula Music Together Mixed Age (0-4yrs) classes is between 6 mo-3 yrs, plus some older siblings. 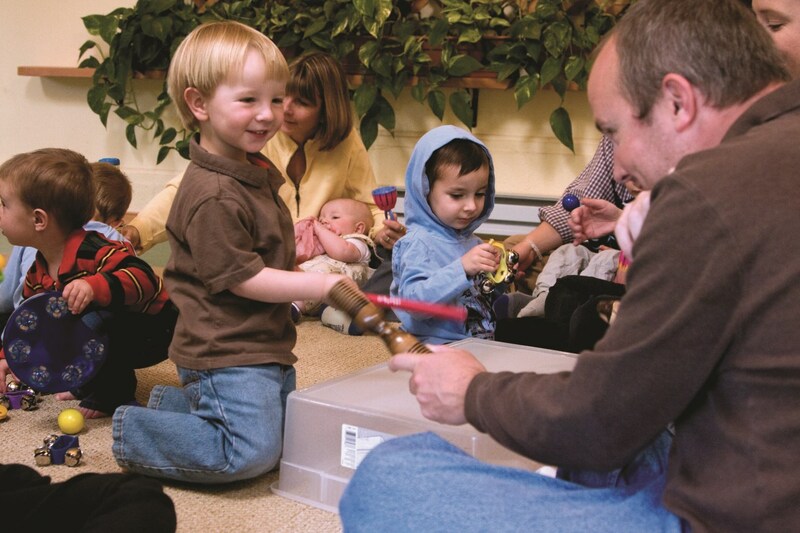 These classes give children the environment they need while interacting socially and musically with children of varying ages. Read more here. For parents/caregivers: You are not alone! Come and make beautiful music while making friends in your community! Read more here. 6 year-olds and younger siblings! Click here for details on class description page. Spring registration is open! Contact us to be added to our reminders! 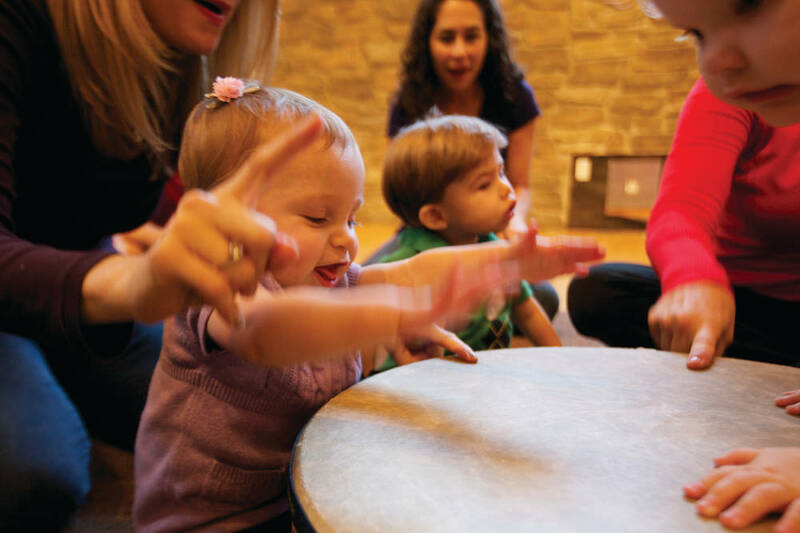 This Spring, enroll in Music Together con Español and try algo nuevo - something new! 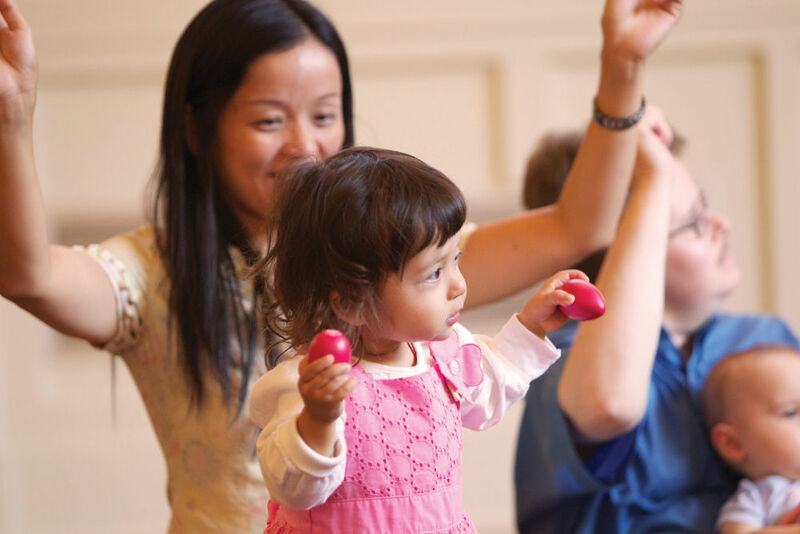 Music Together con Español is a bilingual English/Spanish version of the Music Together mixed-age class you know and love. The songs in the fall's Fiddle Song Collection have been recorded in a mixture of English and Spanish, which you'll take home on a CD and also be able to access online. And, in addition to your weekly classes, and the bilingual recording, you'll receive the new English-language illustrated songbook, a booklet with the Spanish lyrics, and a family newsletter with more at-home music-making idea that can hacer que cada día sea más divertido-make every day more fun! Please don't come to class if you or your child is sick! Instead, please use our liberal 3 make up policy and schedule a make up. Further details. Please note that make ups can not be carried over to another semester so please schedule your make up as soon as possible after your missed class. Spots are offered on a space availability basis. No drop-ins please. Due to insurance regulations, unregistered siblings, under age 6, can not be brought to class, unless scheduled as an "Older Sibling" visit. (One per semester) However, 5 yr old siblings can be registered for class, with a sibling discount. To schedule an older sibling visit, please go to make ups and schedule in the name of the older sibling. (Please read older sibling info here) If no make up spots are showing that means all spots are have been taken. Our classes tend to be full so please consider setting up a play date for the older child instead! If that is not possible, call or text Director Pam 415-308-4432 and she will attempt to assist in adding your older child make up spot. Please contact us if further questions.